If you know any kids like my niece, then they probably like to paint their nails. That's fun and all, but not the fact that many of those nail polishes out there are horribly toxic and not a great idea for little kids to be using. 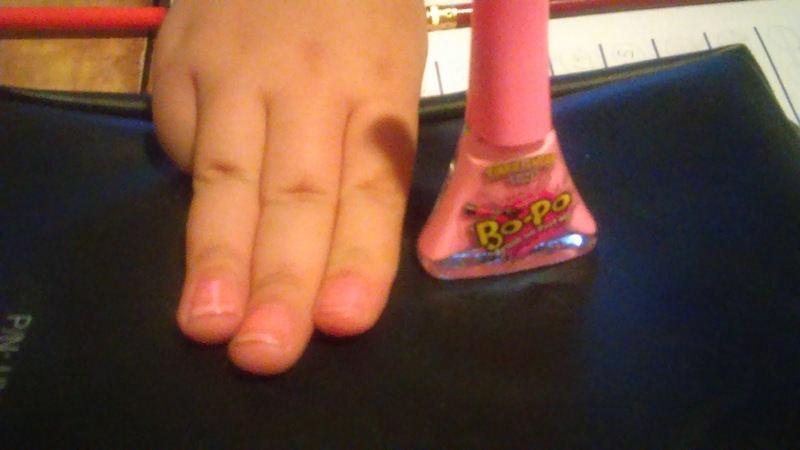 This product that I was sent recently called Bo-Po Nail Polish is the perfect alternative. What does Bo-Po stand for??? Brush on, Peel off! After reading everything there in the description of the product, doesn't it sound perfect for little kids?? 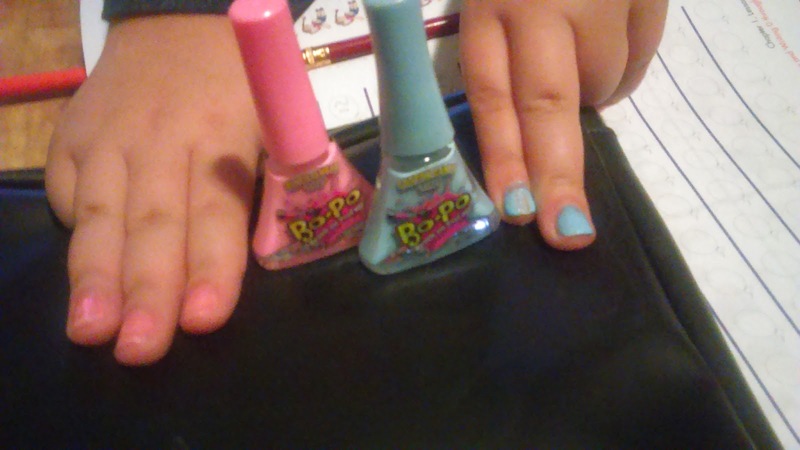 I received a light pink and light blue, both pretty colors. Would love to try the other colors as well. 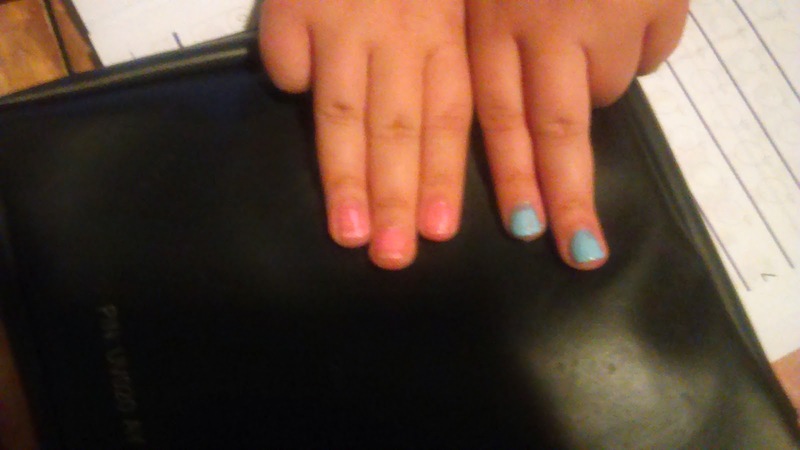 My niece loved using both colors on her nails and thought it was a lot of fun. I love the cute little bottles that the nail polish comes in and I like that it's actually spill-proof! I LOVE that it doesn't contain any harmful chemicals or smell and of course I'm happy that it just peels right off. I hate using nail polish remover, especially on little ones. It's great that it dries super quickly since most kids, well at least the ones that I know, can't sit still long enough for regular nail polish to dry. This one dries in about a minute. Best part? Peel it off whenever you want it off! You can view their entire product line and purchase what you like right here. You'll get an additional 25% off!